This is a very clever Eagle when hungry it will hunt chickens and small birds even rats , lizards and snakes. 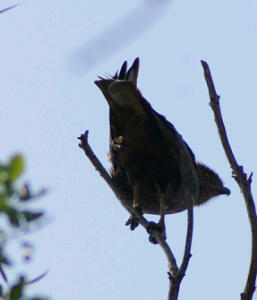 This is one of the biggest snakeeagles and the only one who’s whole body is brown in colour . I took this photograph in Nelspruit South-Africa.